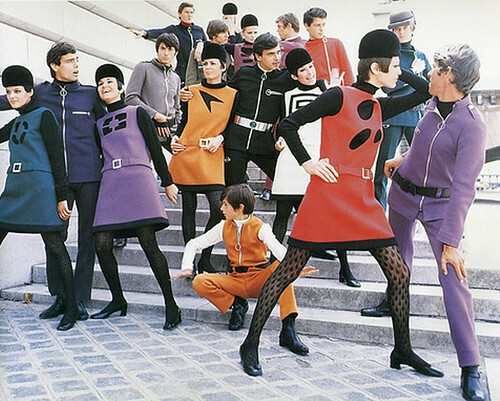 Today Pierre Cardin is celebrating his 89th birthday. The French designer has had a surprisingly rich and varied career that’s included creating costumes for many films and television programs such as Jean Cocteau’s Beauty and the Beast (1946), Anthony Asquith‘s The V.I.P.s (1963) and The Yellow Rolls-Royce (1964), Louis Malle’s Viva Maria! 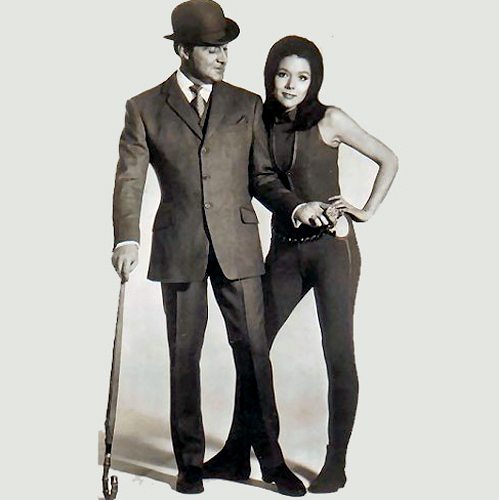 (1965), Roger Vadim‘s The Game Is Over (1966), Orson Welles’ The Immortal Story (1968), Vittorio De Sica‘s Woman Times Seven (1967), Anthony Mann’s A Dandy In Aspic (1968) and The Avengers (1961-1969). 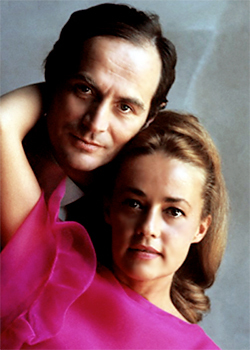 Many beautiful and talented actresses including Jeanne Moreau, Elizabeth Taylor, Joanne Woodward, Brigitte Bardot, Jane Fonda and Mia Farrow have modeled his designs.